Leopold Kohr (1909-1994) was an openhearted, urbane, convivial man who loved intellectual companionship and discussion. He was an economist, jurist, political scientist, and self-described philosophical anarchist. Believing in the effectiveness of returning to the local level to solve the problems affecting humankind, he saw small self-governing communities as best able to solve their problems with their own resources. Kohr received his doctorate in law and economics at the University of Innsbruck (Austria) and in political science at the University of Vienna. He also studied at the London School of Economics. When Austria was annexed by Nazi Germany in 1938, Kohr emigrated to the United States. In 1946 he entered academic life, teaching economics at Rutgers University (1946-54) and at the University of Puerto Rico (1955-73) except for a year when he was professor of Economics at the University of the Americas in Mexico City (1965-66). Later settling in Britain, he lectured on political philosophy at the University College of Wales, Aberystwyth (1968-77). Kohr referred to himself as Austrian by birth, American by citizenship, English by residence, and Welsh by heart. 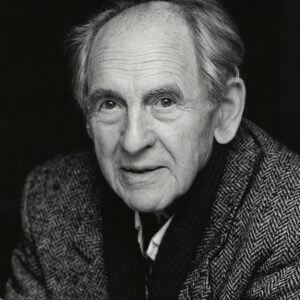 In 1983 Kohr went to Stockholm to receive the Right Livelihood Award for “his early inspiration of the movement for a human scale.” In 1984 Salzburg created the Leopold Kohr Academy and Cultural Association “Tauriska” to put his theories of regional autonomy into practice, and in 2008 a Leopold Kohr Research Center was founded at the University of Salzburg. His books, which have been translated into many languages, include his groundbreaking The Breakdown of Nations (1957); Development Without Aid: The Translucent Society (1973); The Overdeveloped Nations: The Diseconomies Of Scale (1977); and The Inner City: From Mud To Marble (1988).